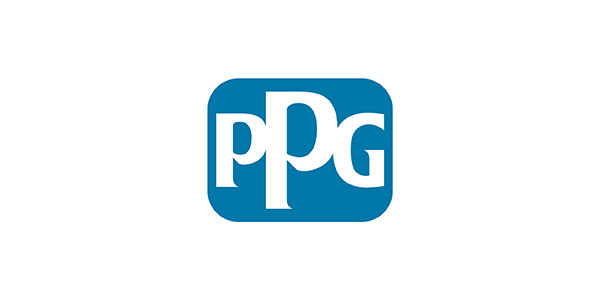 PPG has reported fourth quarter 2018 net sales of approximately $3.6 billion, down 1 percent versus the prior year. Net sales in constant currencies grew about 2 percent year-over-year aided by higher selling prices of more than 2 percent. Sales volumes were down 1 percent versus the prior year in aggregate. Unfavorable foreign currency translation impacted net sales by approximately 3 percent, or about $110 million, and acquisition-related sales, net of divestitures, added less than 1 percent to sales growth. Fourth quarter 2018 reported net income from continuing operations was $256 million, or $1.07 per diluted share. Adjusted net income from continuing operations was $271 million, or $1.15 per diluted share. Fourth quarter 2017 reported net income from continuing operations was $148 million, or 58 cents per diluted share. Adjusted net income from continuing operations was $305 million, or $1.19 per diluted share. For the fourth quarter 2018, the effective tax rate was about 24 percent and the adjusted effective tax rate was about 26 percent. “In the fourth quarter, we delivered net sales growth in local currencies of about 2 percent, led by higher selling prices marking seven consecutive quarters of improved pricing,” said Michael McGarry, PPG chairman and CEO. “These price increases, along with our ongoing cost management efforts, remain focused on offsetting continued input cost inflation, as we made further progress on recovering our operating margins toward prior-year levels. Also impacting our sales were softening global economic growth and demand declines in certain end-use markets. “For the full year, we delivered adjusted earnings per diluted share growth despite significant and persistent raw material and logistics cost inflation, which impacted the entire coatings industry and rose sequentially throughout much of the year,” McGarry added. “In addition to achieving higher pricing, we aggressively managed our cost structure delivering about $80 million of full-year cost savings, reaching the top-end of our target. Strategically, during the past year, we announced six acquisitions, including recent announcements of SEM, Whitford and Hemmelrath. The company reported full-year cash from operations of about $1.5 billion. For the year, the company completed more than $1.7 billion of share repurchases and paid about $450 million in dividends. Net capital expenditures totaled about $410 million. The company ended the year with approximately $5 billion of gross debt, and about $1 billion of cash and short-term investments. The company had $1.8 billion remaining on its current share repurchase authorizations at year-end 2018.